I’m stressed!! She’s stressed!! We’re all Stressed!! Indeed, but what is stress? Stress is a reaction to an overload of difficulties and a reaction to that circumstance by an individual’s idiosyncratic learnt behaviour. Stress can be external and connected to the experience or situation, but may also be triggered by internal perceptions. These, often irrational, thought processes can cause an individual to feel exaggerated negative feelings relating to the difficult situation. A new study* has found that over the past year, almost three quarters (74%) of people have at some point felt so stressed that they felt overwhelmed or unable to cope. “If you remain passive, thinking, 'I can't do anything about my problem', your stress will get worse," says Professor Gary Cooper from the University of Lancaster. So, what to do? There are lots of positive things that stressed people can do. Make contact with people, do some physical exercise, volunteer and help others. Take up learning? I suggest that people who are stressed - and I used to be a fully paid up member of the ‘intensely stressed club’ - should try to think mindfully. I always say to myself, “Right, I’m starting to move towards being stressed, so let’s contemplate mindfully, rather than ruminate mindlessly.” A deep self-awareness helps and trying to be flexible and kind to yourself is helpful, but mindfulness really does it for me. 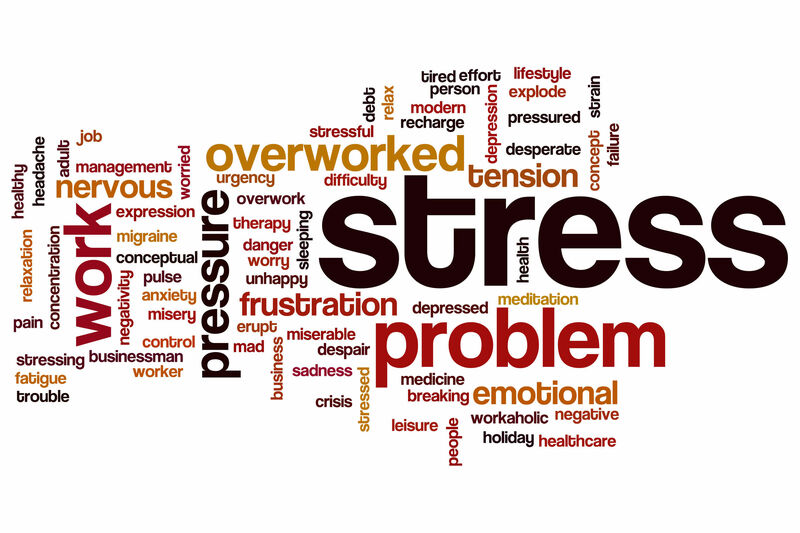 Many Emotionalskills clients come to us with work related stress. Sometimes they can change their jobs and lifestyle, but they often do not have any chance of altering their occupation, so they might have to accept this and try to focus on the things they do have control over. Working smarter, rather than harder, means arranging your work, concentrating on the tasks that will make a real difference rather than just blasting away in a disorganised fashion. Whatever you are engaged in takes on a greater richness if you drop out of automatic-pilot mode and into awareness and acceptance…. I’ve been living a mindful life for about a decade now and my life is usually simultaneously restful and productive. It’s called mindful practice, because you need to practice being mindful or living mindfully. Like many things that are worthwhile, it’s not easy in the beginning, but persistence pays off. Article by Shane Lutkin. Shane has a master’s degree in Psychotherapy and runs Emotionalskills. Emotionalskills sessions run in Norfolk and Northampton and are with a degree qualified therapist who has also studied the theory of personality, Cognitive Behavioural Therapy (CBT), focusing, mindfulness, couples/group therapy and creative thinking. In total confidence call/text 07986 488690 or email info@emotionalskills.uk.